As I look out my window today, winter’s firm grasp is obvious. There is snow falling and cold winter winds are howling. It would be easy to stay in by the heat of a wood fire, with a hot cup of coffee and pound away at the keyboard, but there is work to be done. The season ended not but a few weeks ago in my state of Missouri, and already work is underway by thousands of hunters and land managers to ensure that next season will be better than the last. For the serious deer hunter and manager, the end of hunting season is the start of preparation for next year. 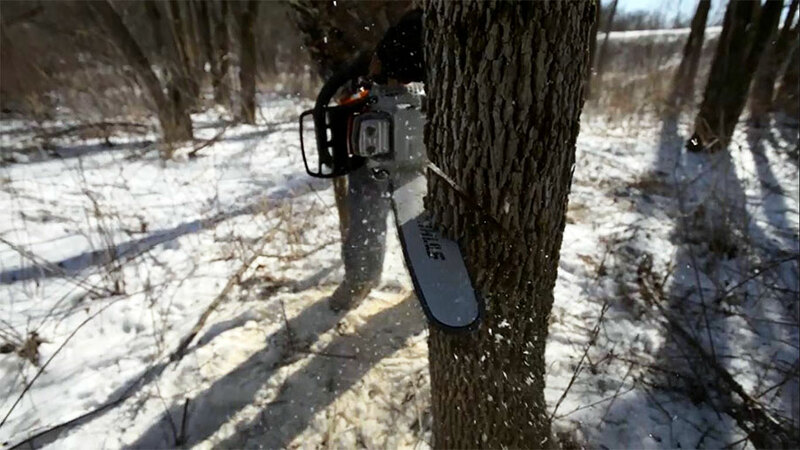 Maybe we take a few “down days,” but no serious whitetail hunter is thinking about pulling all their trail cameras the last day of the season. The moment this season ended, many of us were thinking about how we can “do better” next season. Now as easy as it is to “pass the buck” onto presumed state agency mismanagement or disease outbreaks; we can only control what we are able to influence directly. Yes, we can vote or go to commission hearings, and we can do our part to keep deer densities in check and minimize disease risk areas, like with EHD and mudflats which are breeding grounds for the Culicoides midge that carries the disease. But really we have to evaluate three main areas: habitat management (food plots), hunting strategies and expectations. Unfortunately, when many of us think about habitat management it mainly means food plots. Though a huge part of the equation in modern deer management, food plots are supplemental sources of nutrition to the number one source – native habitat. Contrary to popular belief, a deer’s diet throughout the year will primarily be composed of native vegetation, regardless of whether you’re in corn country of the Midwest or pine plantations of the Southeast. From greenbrier to wild grape to seedling oaks, deer are constantly browsing to and from their beds. It just so happens we see them feeding the “most” on food plots and crops because that’s where they are most visible. Manage the habitat and manage a deer’s primary food source. We are all replaying at least one moment in our heads when a hunt didn’t go as planned this season. Maybe it was bumping a buck while walking to a stand, or maybe he always seemed to skirt your spot just out of range. Regardless of the reason, we as hunters must adapt and adjust. Learn from every hunt and experience – positive or negative – and next season is sure to be better than last. The hardest of the three by far is expectations. Managing your expectations for your state, property or hunt is likely a challenge that is difficult to overcome. The great Aldo Leopold, Father of Wildlife Management, wrote that managing the wildlife was easy; it was managing the people which made the task challenging. He was spot on. Every year I run into hunters who are disappointed because they didn’t see a “Booner” on their hunts. When I ask if they have ever seen one, the answer is usually “No,” but that is a dead end. Not every piece of whitetail ground has the ability to produce giant bucks. Even the great spots run dry after a while. It takes hard work, patience and often luck to consistently see, let alone shoot, big bucks year after year. As the season fades, a new journey begins, one that could lead to a great 2015. In fact, a single chainsaw cut or prescribed fire lit could generate the biggest buck of your life next season.